"The Great Recession of 2008 revealed a new threat to Americans' sense of security: the global economy. The meltdown of domestic housing and financial markets shook the international economy to its core, exposing weaknesses in the Eurozone that now threaten not only a global recovery but also the U.S. economic recovery. What were the causes of the Greek debt crisis? Why don't the solutions proposed by the European Union seem to be working? How could the European crisis come back to weaken the United States economy? Richard Parker of the Harvard Kennedy School explores these issues and more. " Richard Parker is Lecturer in Public Policy and Senior Fellow of the Shorenstein Center at Harvard Kennedy University. An economist by training, he is a graduate of Dartmouth College and Oxford University. 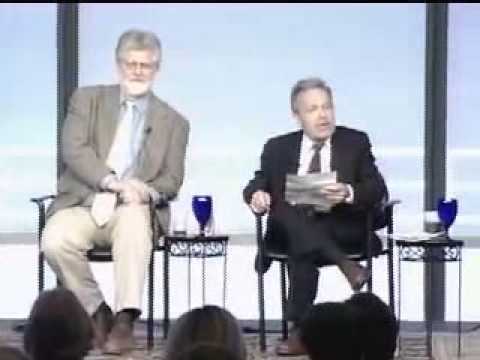 He has worked as an economist for the UNDP, as co-founder of Mother Jones Magazine, and as head of his own consulting firm, serving congressional clients, including Senators Kennedy, Glenn, Cranston, and McGovern, among others. Parker has held Marshall, Rockefeller, Danforth, Goldsmith, and Bank of America Fellowships. His books include: The Myth of the Middle Class , a study of U.S. income distribution;Mixed Signals: The Future of Global Television News ; and the intellectual biography, John Kenneth Galbraith: His Life, His Politics, His Economics . His articles have appeared in numerous academic anthologies and journals and in the New York Times , Washington Post , Los Angeles Times , New Republic , Nation , Harper's , Le Monde , Atlantic Monthly , and International Economy , among others.